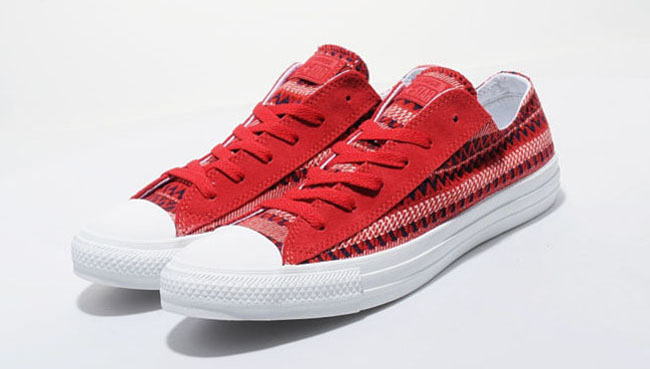 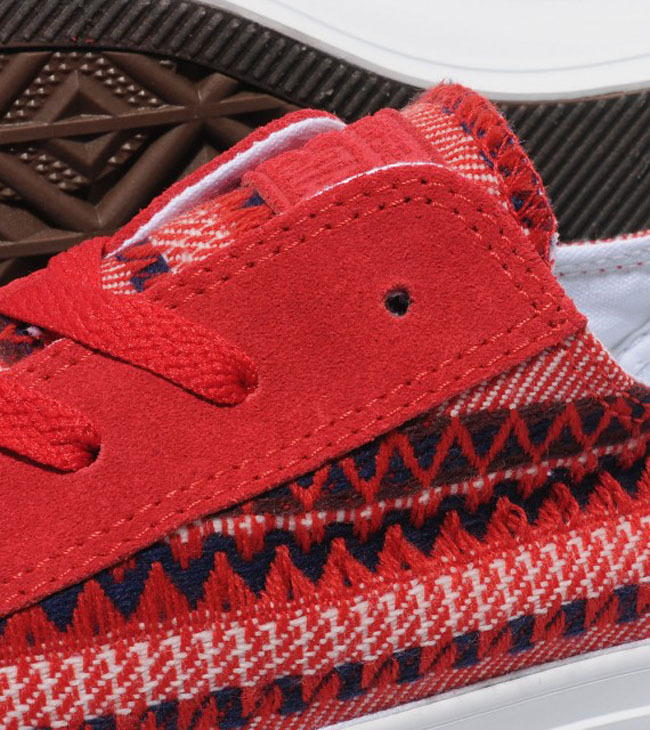 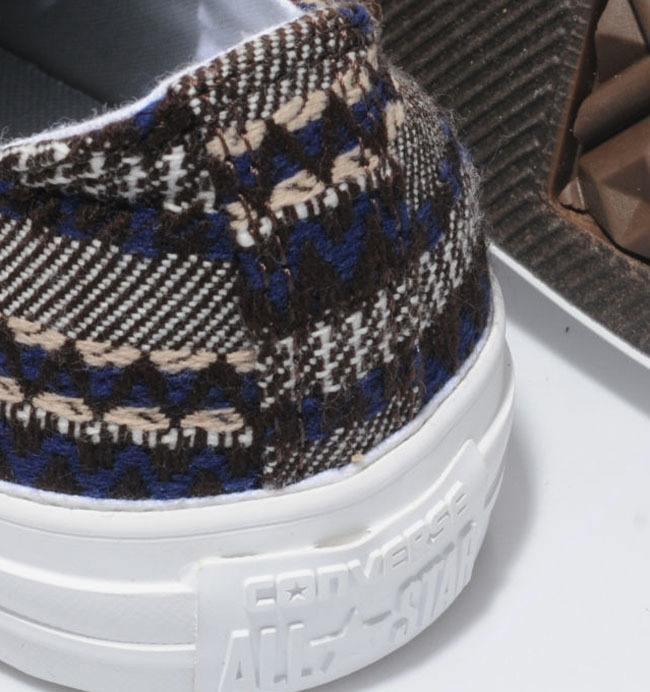 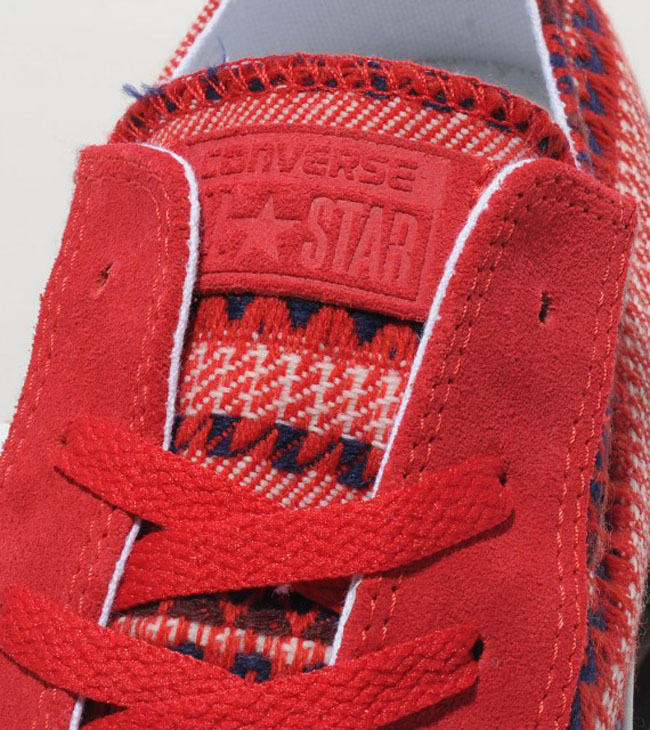 These new Chuck Taylor edition features a Native American-inspired textile uppers. 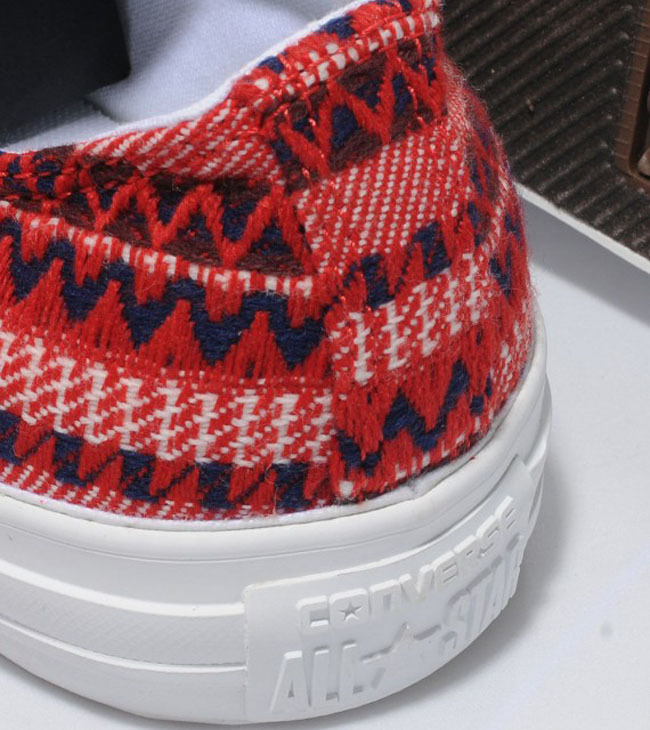 New from Converse are these Native American-inspired editions of the Chuck Taylor. 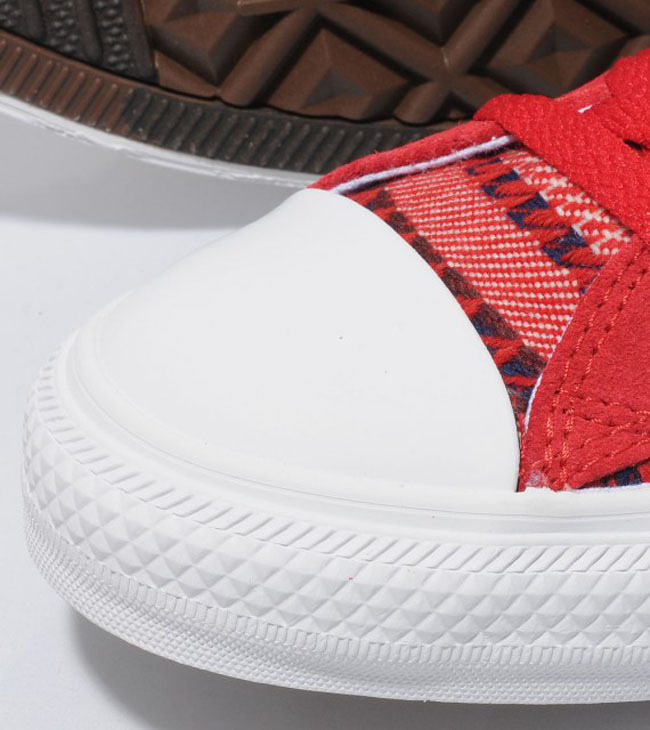 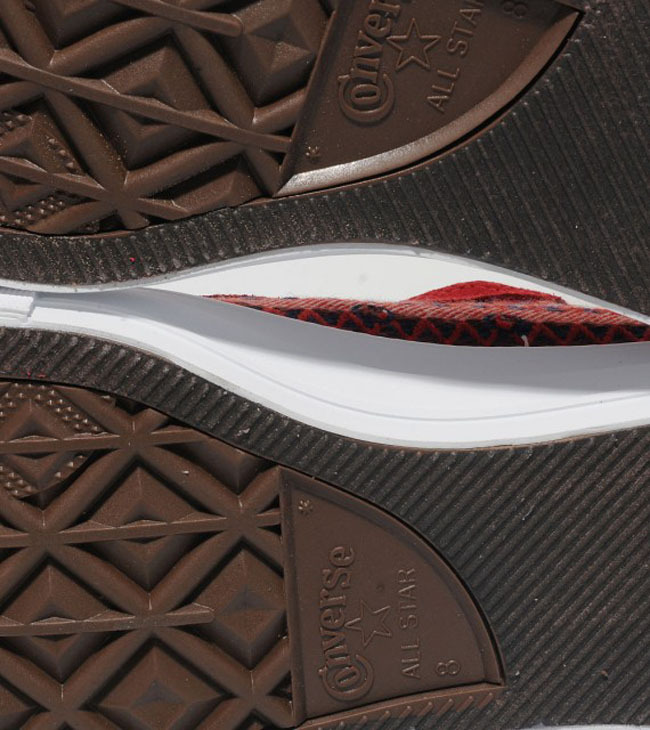 The shoe features a textile upper available in both red, white and navy, or chocolate, white and navy. 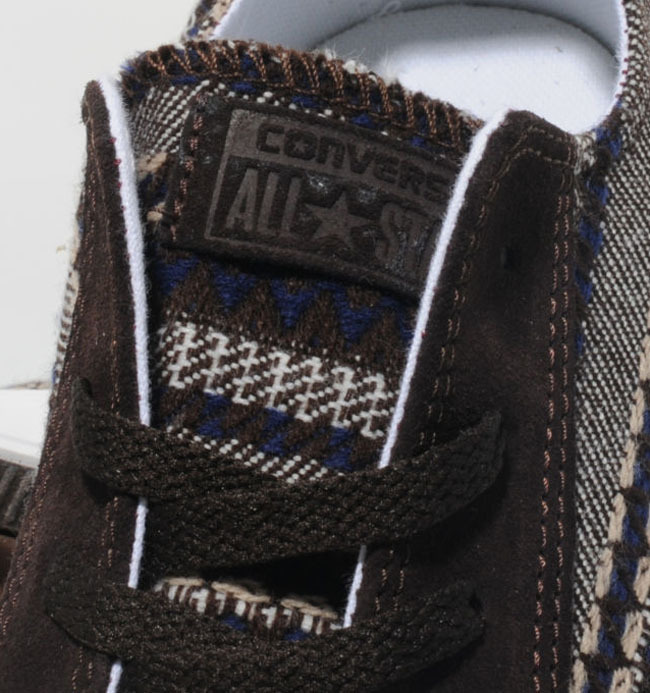 Additional details include an all-white (no stripe) midsole, suede tongue tag, and tonal branding. 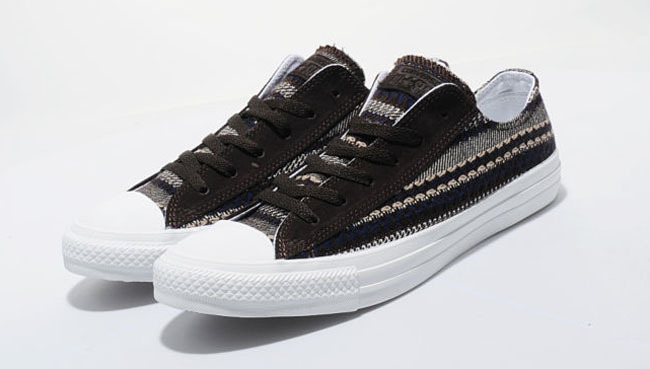 They are available now from size?.